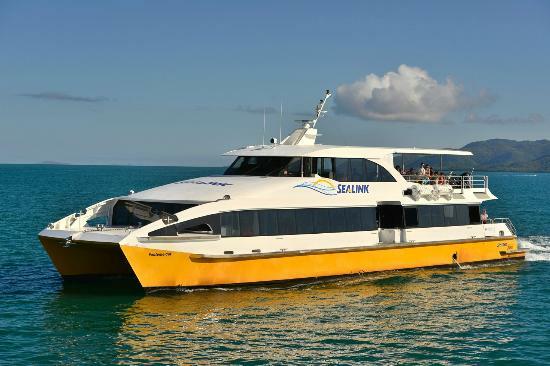 Return Sealink Queensland ferry discount deals (travel only) when you mention GBRFF. Our World Movie Premiere & GBRFF Gala Opening Night includes 1 drink on arrival, canapés, the world movie premiere of ’Zelos’ and a Q & A with the producer Steve Jaggi afterwards. Imagine the setting ... a tropical island paradise, the lapping of waves are just meters away, the temperature is deliciously comfortable, a bar and food are at hand, and you sit down to savor a fantastic selection of short films from around Australia. It can all be yours at the 2017 GBRFF Shorts At The Sea on Friday 8 September. Food and beverages are available for purchase and are not included in the ticket price. See as many screenings as you like in (Cinema 2 only) on Saturday 9 or Sunday 10 September from 11am - 5pm. If you're looking to purchase a 'Sealink ferry ticket only' to the GBRFF, purchase your ticket online and enter the Promo Code: GBRFF17 to activate the following online discounts.